About the internet conection. Sadly, I only got EDGE speed for century in my home town … no improvement at all ..
1. What Gadget do you have (own)? 3. What is Your Internet connection (is it wireless modem, broadband ADSL, dialup?)? 4. What is the maximum speed that your Internet connection? Entry filed under: Gadgets', MY Happy Lappy, Tribute to W950i. Tags: Acer Aspire, Acer Aspire 5583, favourite gadgets, Sony Ericsson, Sony Ericsson W950i, Windows 7 on Acer Aspire 5583. I use G400 ECS Elite Group, Laptop which has been discontinued from elite group product (Centrino 1,7 Ghz Processor Inside, 1 Gb mem, 80 Gb hdd, 14,1 wxvga, shared vga mem, ect). for PC I use msi with Amd Phenom II 3,2 inside, 4 gb mem, 1 Tb hdd, 23″ wxvga, 2 Gb vga mem, etc. hmmm …. saya jarang pakai hp utk ngenet, mas. Max Speed : Hem….. slower than your thought…. To connect on internet i use ZTE AC2627 EVDO from Smart telecom, maximum speed download 0,75MBps and upload 0,25MBps not bad isn’t it? – MacBook Aluminium Unibody 13-inch. Intel core 2 Duo 2.0 GHz, 3 MB on chip shared L2 cache. Dimension: 4.5 lbs, 0.95″ H x 12.78″ W x 8.94″ D.
Since this january I’ve uninstalled the Windows partition in my Macbook. So it’s full of Leopard, now. 4 GB RAM DDR2, Nvidia GeForce 9800 GTS, 500 GB HDD (or 320 GB? I don’t really remember…). 3. I have Telkom Speedy installed in my house, and I use Telkomsel Flash too, with my HALO number. 2. What is your Computer Brand, type and spec? Acer Aspire One AOA110 (Intel Atom N270 1.6GHz, 9.4″ 1GB DDR2, 8GB SSID, + Ubuntu 9.10), Acer Travelmate 2423 (Intel Celeron 1.6GHz, 14″, 2GB DDR2, 120GB HDD, DVD Rom-Drive, Bluetooth + LinuxMint & OpenSUSE & Mandriva). Dialup from my Samsung SGH-J200 with Indosat M2 Unlimited (IDR 100.000). Nice cell Phone bro.Saya gak bisa memakai cell phone selain Nokia. iya nih..cocok cocokan tempat spasi..hehe..
tapi ga tau nih, kok kenapa ya anak2 muda sekarang pada suka SE? Lenovo S10-2 Ideapad, RAM 1 GB, Harddisk 160 GB, Intel Atom 1.66 GHz, With Ubuntu 9.10, Linux Mint 8 Helena and Fedora 12. Internet connection with dial up modem, using IM2 card. With speed: Just GPRS speed…. – does my PS2 is include??? Aduh bro.. aku gak punya gadget, yang ada juga hp jadul (malu kalau disebutin). 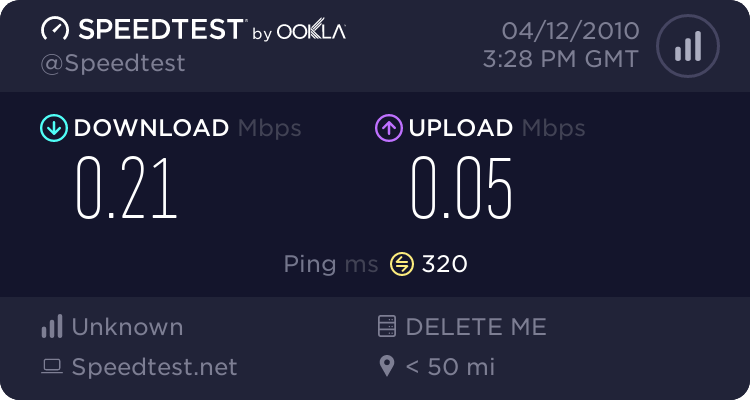 Ini dia hasilnya http://www.speedtest.net/result/779895396.png :D. semua teknologi yang saya pakai sudah usang (lmao). A digital camera is a gadget requirement for any trip. Gadget geeks who like crisp images aren’t satisfied with blurry cell phone pictures. When bringing a digital camera on a trip, don’t forget the adapter that charges the device. Laptop Acer 2920z OS Windows XP Profesional SP3 Kustomisasi MAC X, Ubuntu Carmic Koala 9.10, Windows 7 Ultimate ( Abal-abal). dan Desktop buatan sendiri Intel Pentium Core 2 Duo, OS Windows XP Profesional Edition SP3. Memori DDR2 3 Ghz, Harddisk Western Digital 500 GB, VGA GT9800, Monitor LG Flatron W1642S. Koneksi Internet : HP k-touch a905, dengan koneksi full GPRS. 1. gadget? wah i kagak punya, gimana ya? Bingung, gadget kuwi apa ya..
What Gadget do you have (own)? What is the maximum speed that your Internet connection? Pake Broadband Simaya kalau lagi di rumah, dan IndosatM2 kalau lagi di jalan. First, I have a laptop ION 13″ since 2008. Intel Pentium Core 2 Duo, 1 GB ram, 80 GB HD, DVD-RW, wifi, bluetooth, webcam. Using OS Ubuntu 9.10 and OpenSUSE 11.2 dualboot. It’s really tough laptop. Secondly, I used to have nokia e51 and nokia 9500. Unfortunately my e51 drowned into my washmachine (don’t ask me why…). Now, I only use my nokia 9500. OpenGL Renderer	: GeForce 8200/PCI/SSE2/3DNOW! notebook axioo centaur ama se w830i..
HP mini note 110 that I use for my daily activities both at home and office. Nokia E63 (my blackberry to be), I use Fring or Ebuddy for multichat, Snaptu for Twitter & FB, opera mobile for browsing and SEVEN for push mail. This phone has unlimited contact Phone Book, a handy Notes that can be synced with my microsoft outlook (there goes my recipe notes for the blog), Active Notes, Camera, Radio, Quick Office, etc – more than enough so far. Wireless & ADSL at office. 2. Sony Vaio P Series & Acer Aspire One yg sudah N450,. Windows, as usual. 2. PC with so last year spesification. 3. No, I only used office connection :D. But it’s so fast. @agung: walau PC jadul tapi OS legal salut ane! @Ade Sri: wow … you know your own gadget ma’am that’s impressive! I wish my gadget are.. I have a brain and ten fingers and that is enough. iBoard and iMat are my next gadgets!! kalo sekarang disesuai kan dengan kebutuhan dulu aja bro..
@quinnie:dibawah mbak ini mah sengaja di pinned supaya orang ngasih tahu gadget mereka! I have a local branded laptop, a 5-years old pc (if you call it gadged), 1 music player, 1 In Ear Monitor, 1 portable headphone, and 1 cellphone. Laptop: Zyrex Ellipse NFT-390 or 690? I forgot 😛 (Intel dual core dunno the series, 160 Gb HDD, DVDRW, 12″, 1 Gb ram), PC: P4 506J, 160 Gb HDD, 512Mb ram, dvdrw, 15″ crt (yeah, I know, its OLD), ECS 865GV (its f*cking crappy). Music playr: Sandisk Sansa CLIP 2Gb (its way better than crappy but expensive Apple IPOD), IEML dbE Acoustic PR-20 (good bassy IEM with sparkling high), portable headphoneL dbE Acoustic PH-10 (closed-supra aural, pretty good). 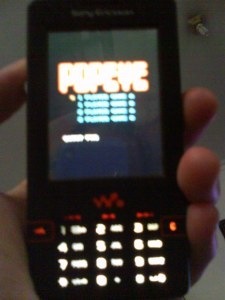 Cellphone: crappy Moto-moto weeeeeeeeeeeeeeeeeeeeeee 388888888 (Motorola W388. Crappy because I couldn’t connect it to Motorola Phone Tools. Damn). 3. What is Your Internet connection? I just got crappy Indosat 3G broadbang (the postpaid one). And I expected Roxbox for my Sandisk Sansa CLIP but, still waiting for the final release. guess what? I have same lappie wit u.. That ACER.. Haha.. 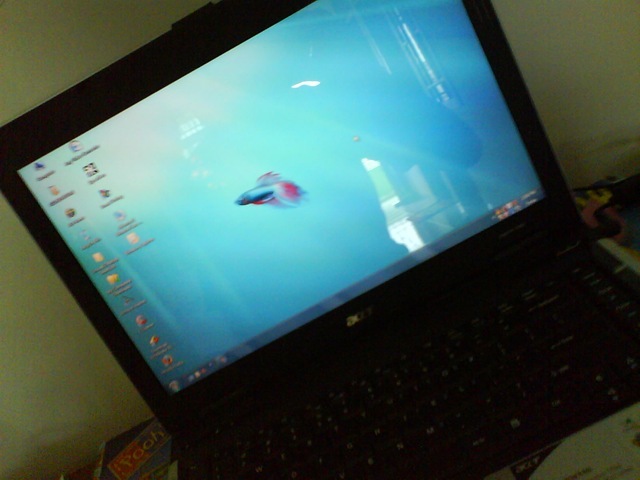 I also bought it 3 years ago, and I lov it so..
ikutan ah.. eh dari atas ke bawah kok kebanyakan pada pake Acer yak? hehe tapi punya saya Dell Inspiron warna item (namanya Dello Si Kucing Hitam), Hape SoNer buat GSM dan Nokia buat CDMA, koneksi internet pake Telkomselflash dengan kartu Halo.. oya ada juga Mp4..
Saya juga memakai Acer. Produknya bagus, dengan harga terjangkau tapi fasilitasnya wah..
Yang penting open source, Apalagi sekarang Android sudah menguasai arena. ajadi gadget dan smartphone khususnya Os Android bakal jadi “mainan” dengan fitur yang sangat lengkap dan harga terjangkau. Salam Sukses..! 1.What Gadget do you have (own)? @jason: eh … speedy bisa sampe 12MBps?